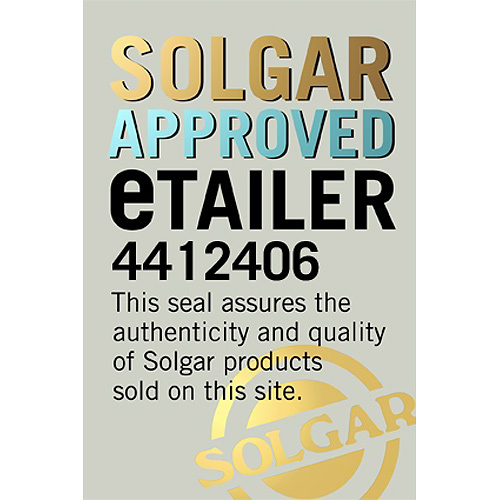 In stock -This product will ship today if ordered within the next 7 hours and 0 minutes. Solgar® L-Cysteine 500 mg Vegetable Capsules is one of Solgar’s premium-quality amino acid range products, containing L-Cysteine, a sulphur-bearing amino acid. Amino acids are the building blocks of protein and are needed in several internal functions of the body. They are classified as “essential” or “non-essential”, with essential amino acids meaning they cannot be manufactured by the body and must be supplied in the diet to maintain good all-round health. Amino acids can be further used by the body to create hormones, enzymes, neurotransmitters, antibodies and nutrient carriers. A suboptimal intake of the essential amino acids increases the body’s need for the non-essential amino acids either through diet or supplementation. Foods that increase amino acid intake are meat, beans, cheese and eggs. 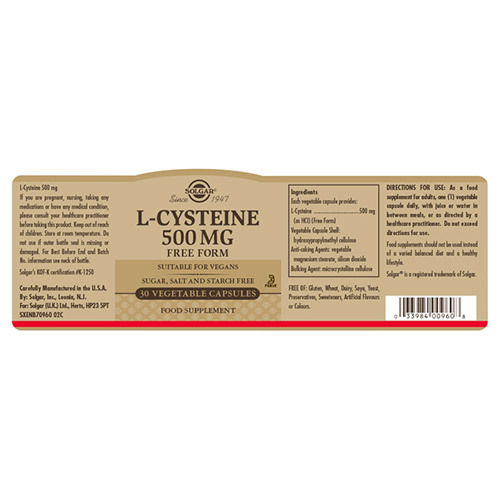 L-Cysteine is an amino acid, bearing sulphur, which plays a role in metabolism as it assists the synthesis from fatty acids into energy. It is also involved in the synthesis of keratin, the protein found in skin, hair and nails. It can also be used to make Glutathione. 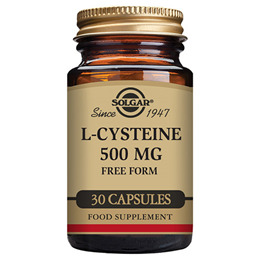 Solgar® 500 mg L-Cysteine comes in a 1 vegetable capsule, for easy absorption, a day. L-Cysteine (as HCI) (Free Form), Vegetable Capsule Shell: hydroxypropylmethyl cellulose, Anti-caking Agents: vegetable magnesium stearatem silicon dioxide, Bulking Agent: microcrystalline cellulose. As a food supplement for adults take one vegicap daily, with juice or water in between meals, or as directed by a healthcare practitioner. 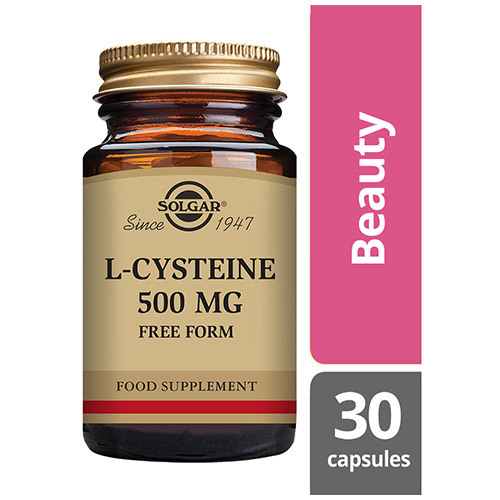 Below are reviews of Solgar L-Cysteine - Amino Acid - 30 x 500mg Vegicaps by bodykind customers. If you have tried this product we'd love to hear what you think so please leave a review.